When we recently did an overview of the evolution of bicycling technology, helmets were barely mentioned. They’ve been made out of the same materials for decades, and the only improvement they’ve seen in that time is a more efficient venting layout. But the timing of that article turned out to be propitious because, a few months later, Trek got in touch to let me know it was introducing the first major change in helmet technology in years. Normally, emails like that are little more than marketing, or failing that, everything’s proprietary and can’t be talked about. But in this case, Trek promised that there was peer-reviewed science behind the announcement and I’d get the chance to talk to the scientists themselves. A few weeks later, I got the chance to check out the helmets and meet the scientists (though I narrowly missed my chance to shake hands with cycling legend Jens Voigt). What’s a helmet actually do? The obvious answer is that helmets are meant to protect your brain when your head experiences an impact. But the more detailed answer requires delving into a little bit of physics. On a simple level, an impact generates force that, if nothing is protecting you, is translated directly to your skull. A helmet’s job is to dissipate that force. If a helmet could be arbitrarily large or heavy, this would not be a problem. 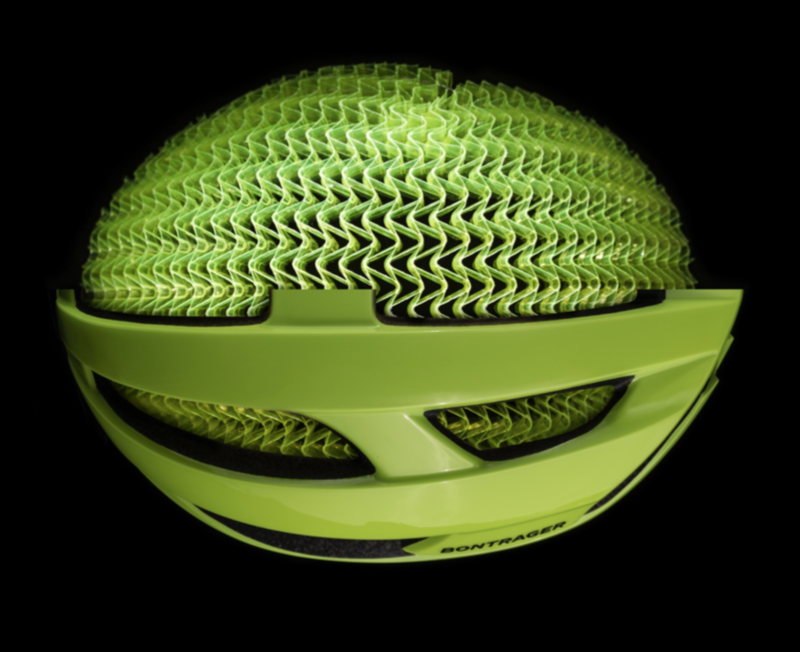 But cyclists are notoriously picky about their equipment’s weight and aerodynamics, which means that a helmet has to do all its redirection of forces in as little space as possible, using light materials.